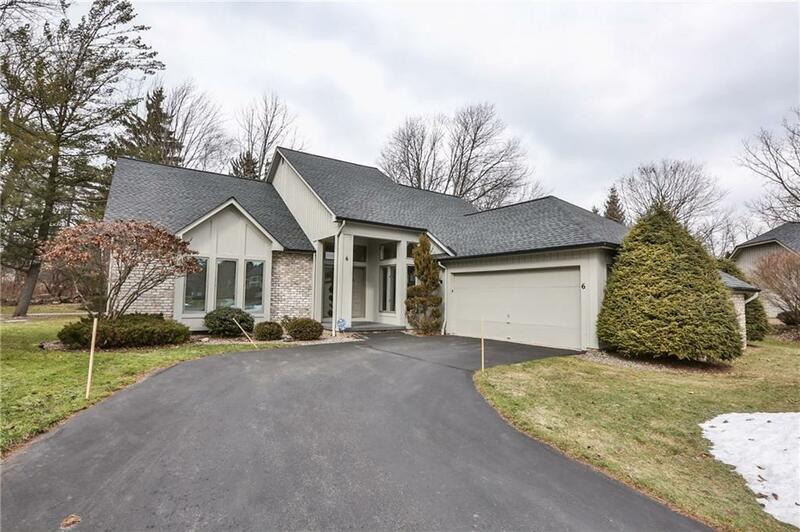 STUNNING, EXCEPTIONAL patio home in Park Square! BRIGHT, LIGHT filled home with WALLS of windows and skylights! 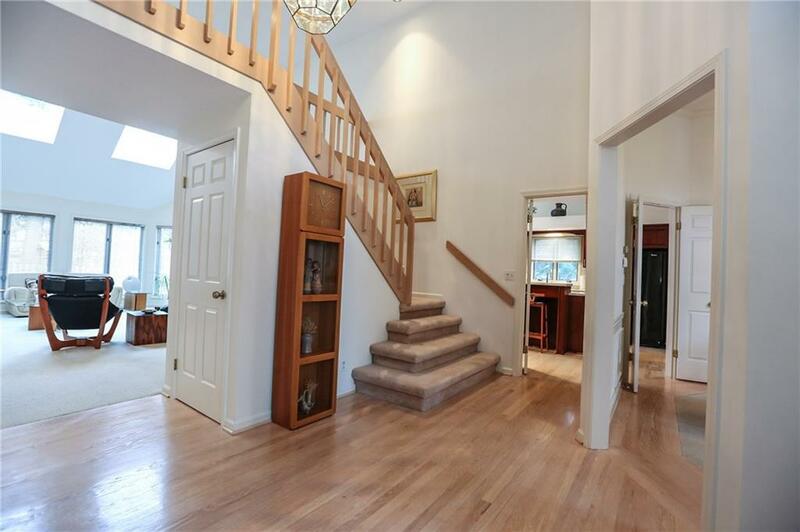 Enter through the spacious two story foyer with HARDWOOD floors. 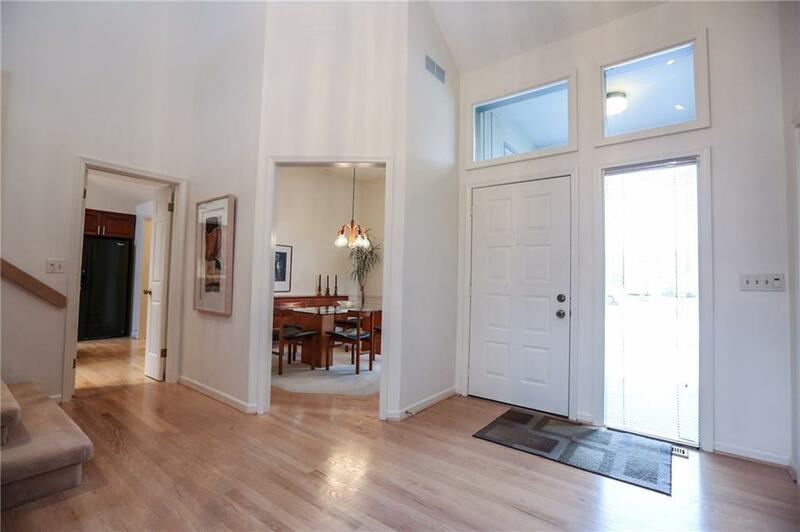 Cathedral ceilings in fabulous huge living room with brick wall and wood burning fireplace. Formal dining room for family gatherings. 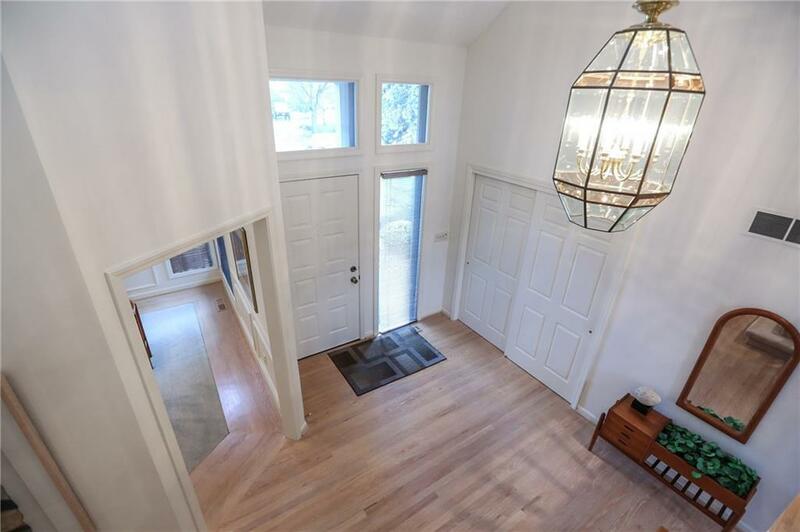 Newer eat in kitchen with cherry cabinets, hardwoods, solid surface countertops. Sliding doors to deck! 1ST FLOOR MASTER bedroom with walk in closet and SITTING ROOM. UPDATED bath with solid surface counters and walk in shower. First floor den or second bedroom. Upstairs is a private GUEST SUITE with full bath. Finished lower level OFFICE, complete with half bath and huge SAUNA. Tear off roof within the last 5 years, HVAC within last 10 years. THIS IS A 10+. Dont pass this up, buy!